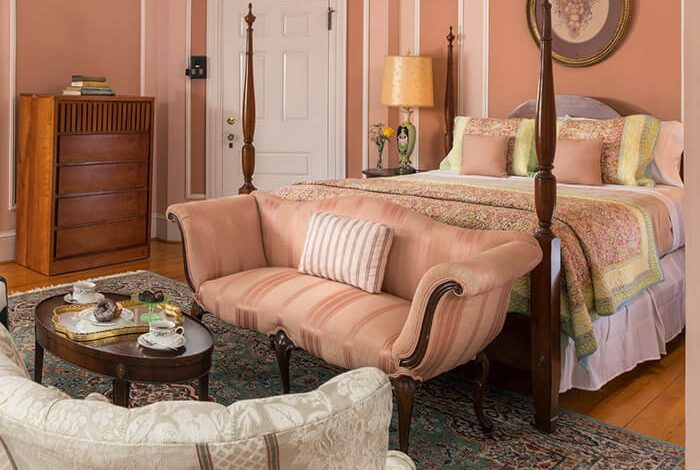 Once a home to the Clute family, the Idlwilde Inn still has the charm of those that lived before us in this mansion. 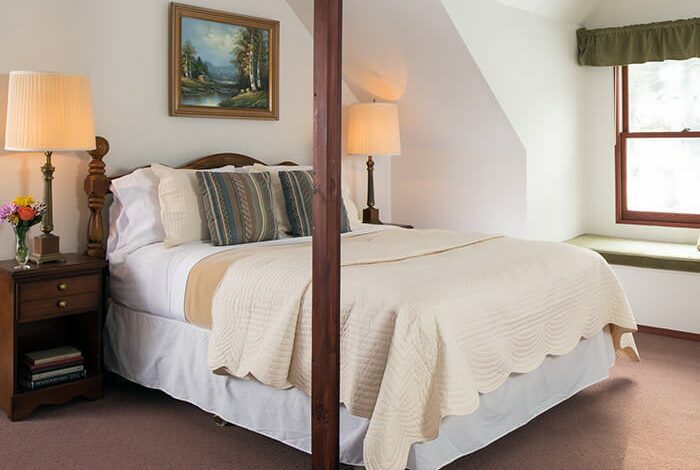 All of our lovely rooms offer exceptional lodging in Watkins Glen, NY. 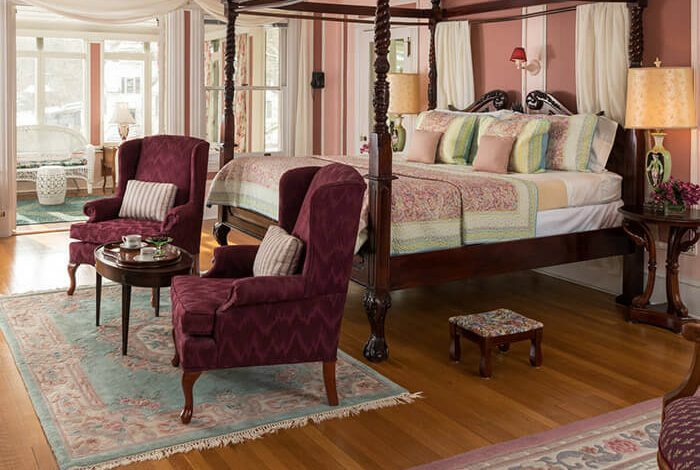 The owner’s suite (room 6) boasts two decorative fireplaces and ample sitting areas, both inside and out. 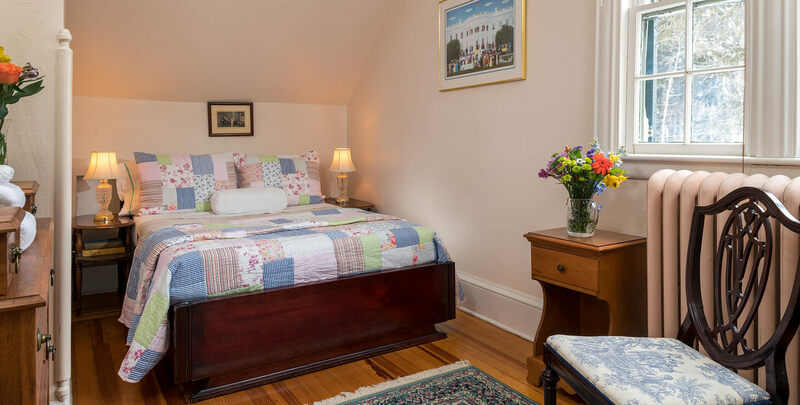 Adjacent to the suite is the nanny’s room where kids could be cared for close to the parent’s retreat. 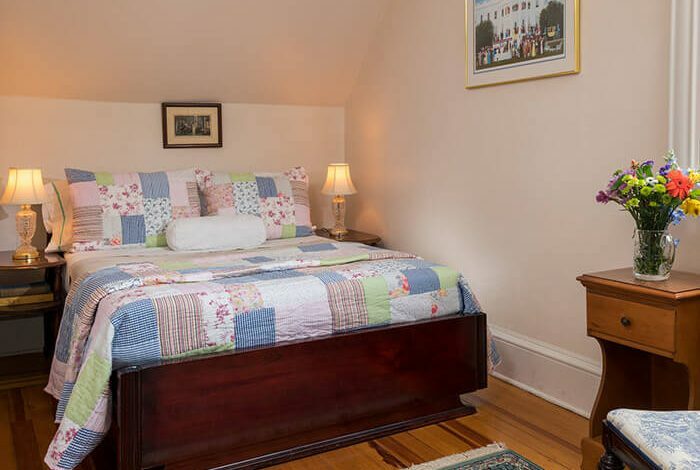 And as only seen on many of your favorite PBS specials, rooms 3, 4 and 5 were the servants quarters and reflect the shape and style of accommodations for those that did most of the heavy lifting for a mansion of this size and stature. 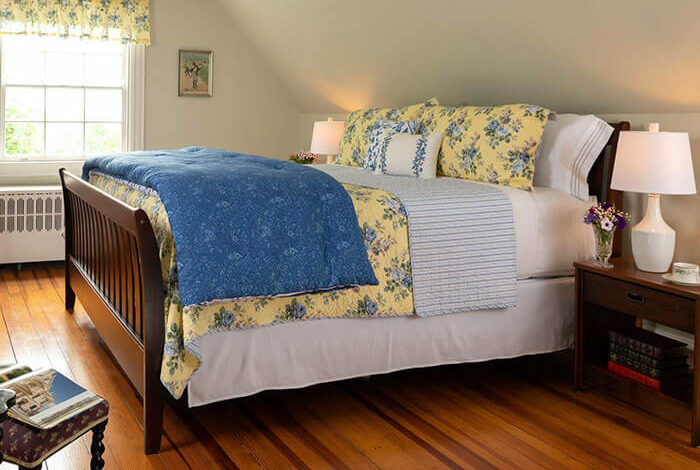 The servant’s quarters includes a hidden back staircase that will take you straight to the back hall and close to the coffee line. 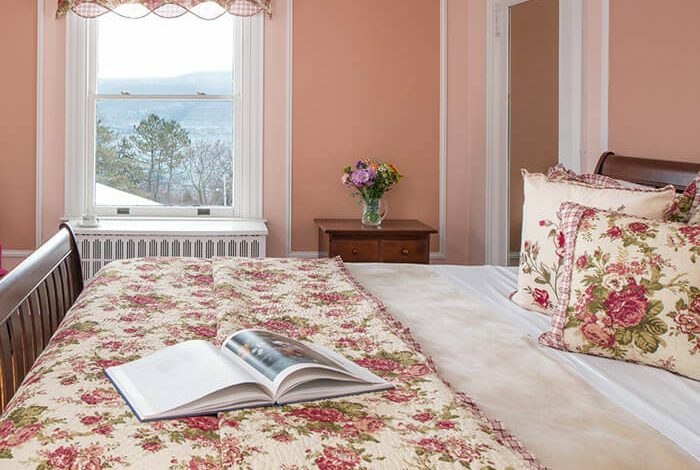 In the last twenty years the third floor playroom was converted to four guest rooms with spectacular views of the town and Seneca Lake. The suite in room 10 has a turret room and funky door frames to work together with the slope of the ceiling. 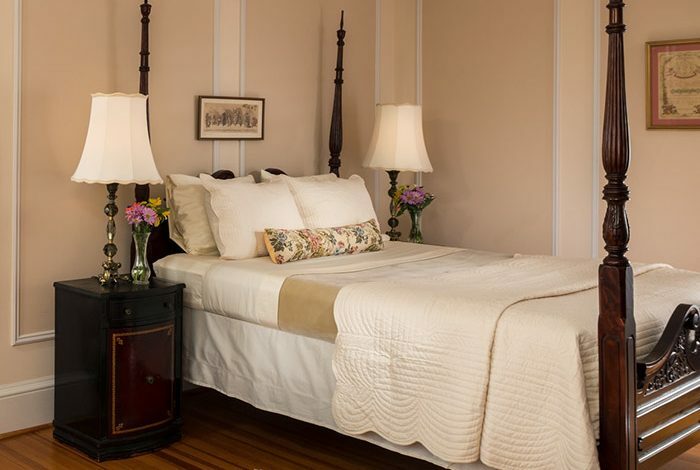 Create the perfect romantic Finger Lakes getaway by adding a package or special to your stay. 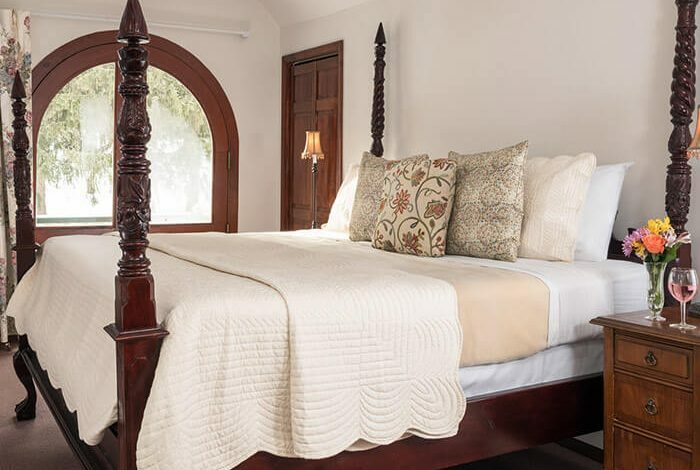 Room rates are based on double occupancy. 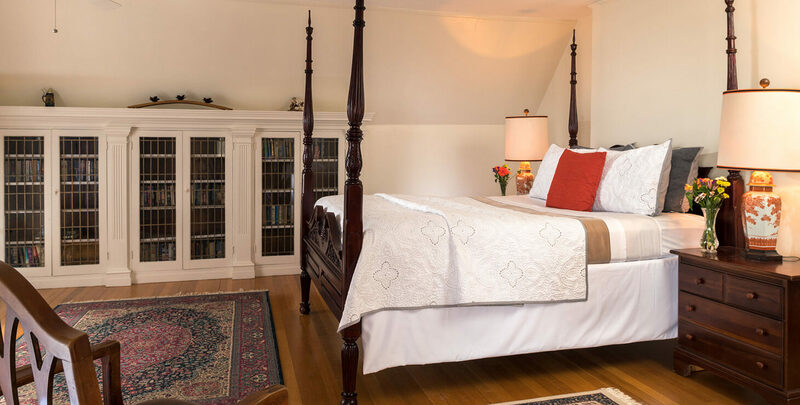 We can only accommodate an additional guest in Room 5 and Room 16 for an additional charge of $50 per night. If your plans change after your reservation is made, a cancellation notice must be received within 15 days of your scheduled arrival. Your deposit will be refunded with the 15-day notice. 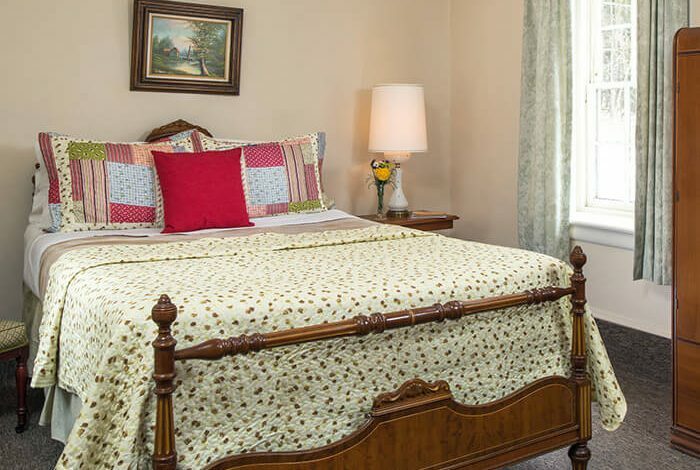 A 30-day notice is required for group reservations of 3 rooms or more. Should notice be less than that, we will make every attempt to rebook your room. If we are unable to do so, a one-night stay will be billed to your credit card. We accept all major credit cards, cash, and check. Charges are posted as JMCN, LLC. 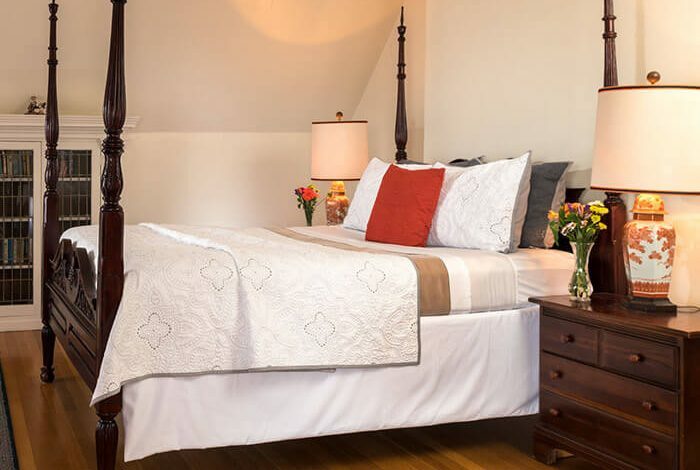 Room rates are based on double occupancy, an additional $50 will be charged for each additional guest in select rooms. For travel planning, check in time is usually between 3:00PM and 7:00PM. If you will be arriving outside the stated check-in times, the courtesy of a phone call is appreciated for alternate arrangements. Check out time is by 11:00AM. Please note that early check in will be subject to a $25 fee. Breakfast is served daily in the dining room from 8 AM to 9 AM. 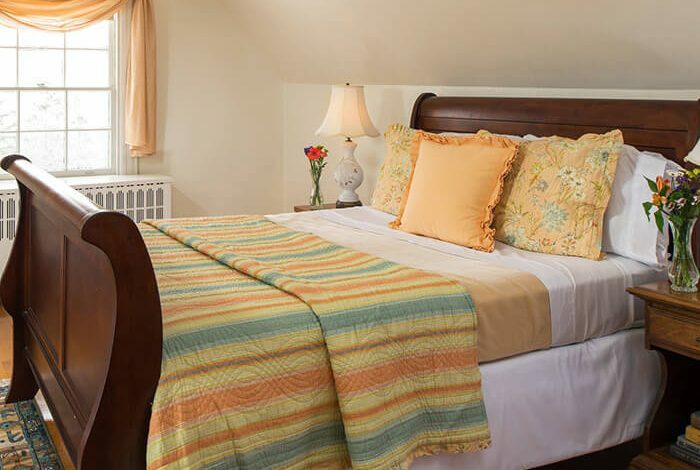 Our Inn and surrounding property is a non-smoking space and no open flames are allowed. 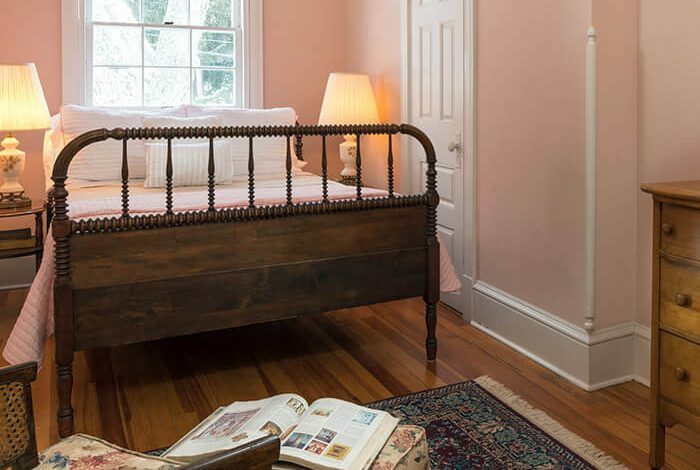 Due to the historical and architectural nature of the inn, we welcome children over the age of 12. 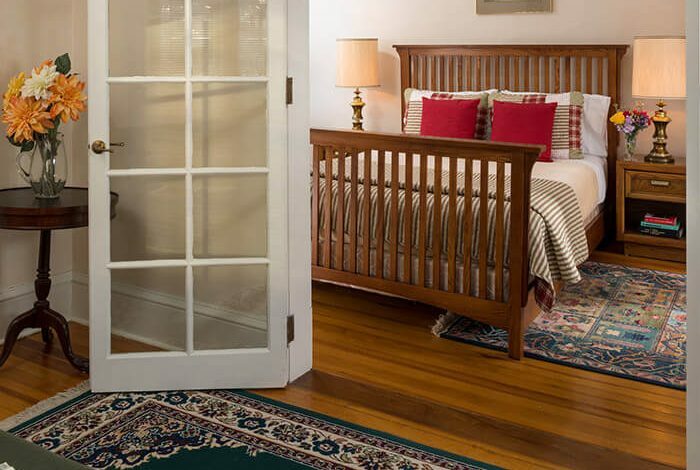 Though no pets are allowed in the main mansion (except Stella,) we do offer a dog-friendly environment in the Carriage House. 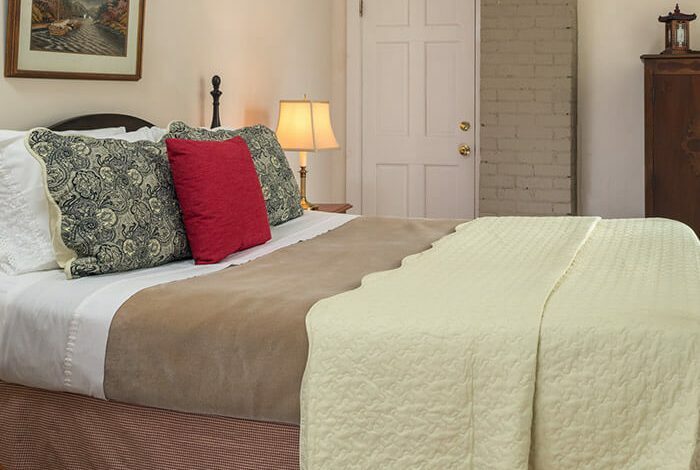 Idlwilde Inn is committed to facilitating the accessibility and usability of this website for all people with disabilities. We will continue to implement the relevant portions of the World Wide Web Consortium’s Web Content Accessibility Guidelines 2.0 Level AA (WCAG 2.0 AA), or such other standards as required by the Americans with Disabilities Act (ADA). On a periodic basis, our website will be tested with assistive technology. 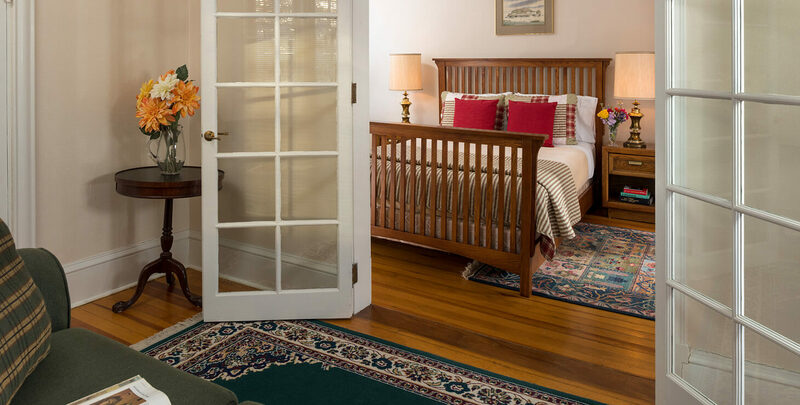 Room #1 in the Mansion is a first-floor accessible room that includes a ramp to navigate the steps leading to the room. Advance notice is requested as the ramp is portable, and we want to be prepared and allow for your easy access. 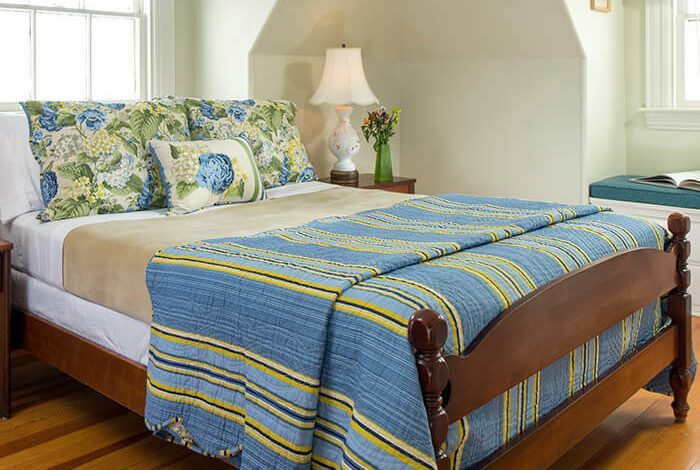 If you require other items please inform us prior to your stay, and we will be happy to work with you to assure a pleasant and comfortable stay. Please be aware that our efforts are ongoing. 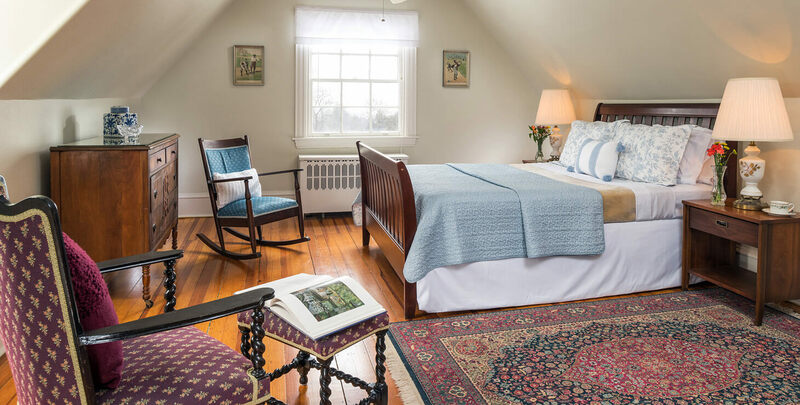 You may email us at innkeeper@idlwildeinn.com or call us 24/7 with questions or concerns regarding ADA accessibility issues, including issues accessing the website or with questions regarding accessibility of the various rooms.